Aries bravery and Sagittarian expansiveness make this relationship an endless adventure. Mutual confidence and support of each other’s initiative is a given. But without more binding contacts, this couple may burn out. Sun in Aries is the pioneer. Full of initiative and independence, he prefers to act now and think later. This also applies to his relationships; he’ll probably be the initiator and will continually provoke new and exciting challenges. Sun in Aries is easily bored. A stagnant partnership (or timid lover) will push him out the door. He needs a partner who activates and supports his energy. Moon in Sagittarius is the wanderer. She’s not comfortable in a relationship where’s she’s fenced in. A partner with varied interests and social connections will suit her best. Moon in Sagittarius can offer her lover full-on, optimistic support. The catch is that she can’t feel like she needs to give that support. The moment she starts to feel suffocated, she’ll distance herself. Escape is a constant temptation for this Moon. These two will not only understand each other’s independence, they’ll encourage it. Moon in Sagittarius will inflame Aries’ lust for challenge, pushing him further and faster. But she’ll push him in such a buoyant, can-do way that he’ll respond with excitement rather than aggression. Sagittarius understands the allure of forward momentum, but she’ll also enjoy loving Aries from a distance as she does her own thing. Sun in Aries will be affirmed by Sagittarius’ support while he encourages her non-traditional streak. This couple will last longer if they create the occasional mutual adventure (rather than continually galloping off on their own quests). 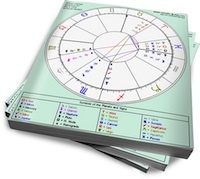 Stabilizing influences (such as planets in the Earth signs or strong Saturn contacts) in their charts will be needed to give them a reason to stay together.